Freshman Kate Bushue is still trying to gain her footing on the Eastern track and field team. However, Bushue said her performance last Friday gave her the boost she needed to feel like a solid part of the team. 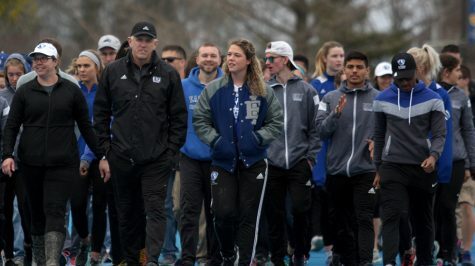 Bushue set her collegiate pace in the team’s final meet, the EIU Friday Night Special, with a mile-run time of 5 minutes, 12.04 seconds. Her time in the event pushed her to the third-fastest mile time on the team. Bushue said a big goal for her this season was to run the mile under the five-minute mark. While she was unable to do so in the regular season, Bushue said she accomplished two other goals she set for herself; running under 10:30 in the 3-kilometer run and breaking 18 minutes in the 5-kilometer race. She is the third-fastest 3K runner on the team with a season-best time of 10:24.40. Bushue has also pushed herself to be the squad’s second-fastest 5K runner with a time of 17:49.29. Bushue said earning a personal best in any of her events this weekend would be her biggest short-term goal. Her positive mindset is what she said will lead to her success at the conference meet. “I think I have accomplished these goals by staying positive and working hard every day in practice. By doing all the little things right, I have been fortunate to see the work paying off in my races,” Bushue said. Success on the track is nothing new to Bushue. In her senior year at Mount Vernon High School, Bushue was the conference champion in the mile, two-mile and the 4X800-meter relay. Her team won the sectional and Bushue qualified for state competition in the mile, placing eighth and earning All-State recognition. Bushue said track has been in her life since she was in fifth grade, when her parents encouraged her to hone her boundless energy into a sport. Bushue said her parents and others continue to be her biggest cheerleaders now that she competes at the collegiate level. “My parents are my biggest supporters. I still stay in close contact with my high school coach who I will always look up to. My roommate, teammate, and best friend at EIU, Ashley Gilmore, gets me through it all,” Bushue said. There have been some major adjustments for the Mount Vernon native since starting her running career at Eastern. Bushue said the biggest change was the atmosphere. She said that in high school, she mostly ran with the boys’ team, but now she is surrounded by women who push her to be the best athlete possible, to work hard and stay competitive. Inspiration is not lacking in Bushue’s life, either, whether it be in track or in her career path. Bushue said she chose to major in Physical Education because of coaches and teachers she’s had in years past. “I was inspired by my grade school P.E. teacher, Cody Hiller, and my high school assistant track coach, Aaron Webb, to choose this major. 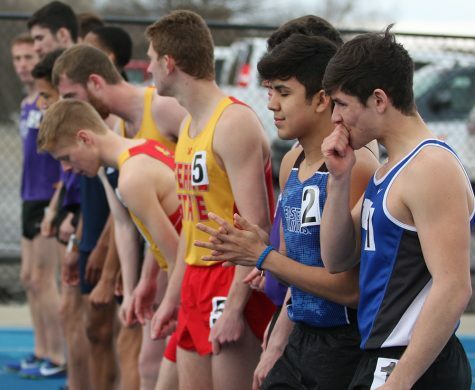 I want to coach cross country and track while being a physical education teacher,” Bushue said. Bushue is in the process of certification to teach kindergarten through 12th grade, but she said her ultimate goal is to teach high school students. She said she plans to earn her master’s degree to become an athletic director. Perhaps one of the most unique things about Bushue is her hobbies. Bushue said she’s an avid shopper, and she loves to watch cooking competitions. She is also an active vintage postcard collector and said she loves to explore antique stores to find them. Bushue’s talent is not something that can be found at an old antiques store. It’s clear that she has a lot to offer Eastern’s track and field and cross country teams. Bushue said being a Panther fills her with the utmost pride. 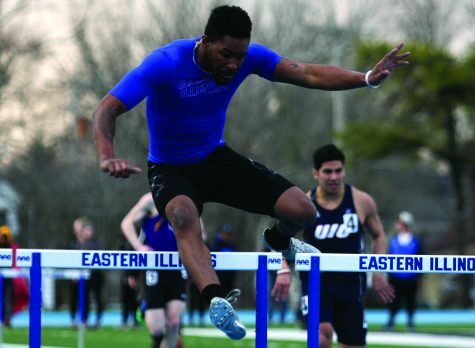 “To be able to put on the uniform and represent EIU is a privilege that I don’t ever want to take for granted,” Bushue said.